XIV, 383 p., 18 ill., 8 Klapptafeln, 15,8 x 20,8 cm. The second volume presents the full bloom of Kabbalistic speculations and their appropriation for a universal history. To begin with, the study deals with the disputed issue on Jacob Böhme’s relationship to the Kabbalah and introduces Abraham von Franckenberg as the most important and independent Kabbalist following Böhme’s tradition. The three most influential speculative encyclopedias of the early modern era also feature a Kabbalistic basic structure. Heinrich Khunrath’s alchemical and hermetic treatise ›Amphitheatrum Sapientiae Aeternae‹ (1595), Robert Fludd’s spiritualistic and platonic encyclopedia ›Utriusque Cosmi Historia‹ (1617–1621) as well as the orientalist main work ›Oedipus Aegyptiacus‹ (1652–1654) by the Jesuit Athanasius Kircher. The second major subject area of this volume is concerned with the development and the impact of Stephan Rittangel’s (1642) edition, translation and commentary of the Kabbalistic ›Sefer Jezirah‹ and illustrates how strongly the Christian Kabbalah was integrated into the political theology of the 17th century. 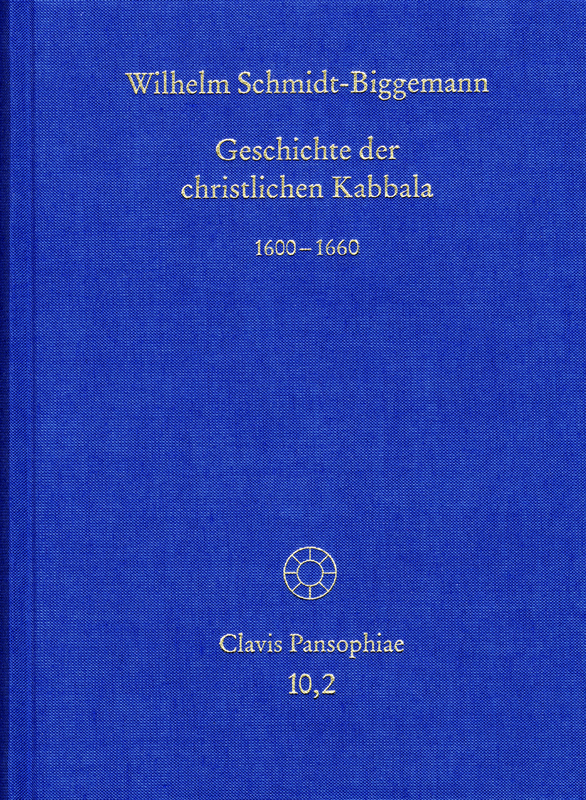 Wilhelm Schmidt-Biggemanns Werk zur Geschichte der christlichen Kabbala wurde im Oktober 2013 mit dem Hamann-Forschungspreis ausgezeichnet.